Jax Stage Lighting has been dedicated to providing its customers with Quality Products, Friendly Service, and Great Advice since 1963. As Designers and Distributors of Television and Theatrical Lighting we Strive to bring you the Best Products to Meet Your Needs and Fit Your Budget in a Professional and Timely Manner. Need a lighting system designed, serviced or upgraded? Call 904-781-6416 we can come to you! 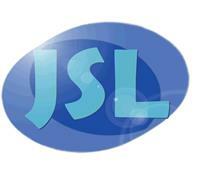 JSL is Jacksonville Florida's Premier Source for Lighting Equipment, Repair Services, and other products that are the backbone of the Entertainment Industry. We pride ourselves on providing our customers with an extensive Rental Inventory, as well as competitive prices on quality products. We've been renting and selling Source Fours, Pipe and Drape, Followspots, Moving Lights, and Haze Machines to the people of Jacksonville for years and are glad to be broadening our horizons by bringing these and other quality products to you. Jax Stage also boasts an extensive stock of Theatrical Lamps, Gel, and Spare Parts. From Pan Motors to Fuses if you need it we'll get it.